The BBC has not been out of the headlines this year. From job swaps to salary revelations, here are some of the stories about the broadcaster from the last 12 months. Following an outcry over talent pay at the BBC, it emerged that presenters such as John Humphrys, Huw Edwards, Nicky Campbell, Nick Robinson and Jeremy Vine had taken pay cuts. Humphrys told the Press Association he would “like to think” he has given the BBC “reasonable value for money over the years” and “I’m not exactly on the breadline”. The BBC published its long-awaited review into pay arrangements for on-air presenters, editors and correspondents. 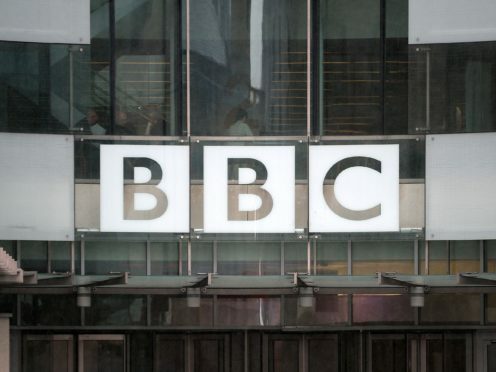 It found no evidence of gender bias in pay decision-making at the broadcaster. But members of the BBC Women group had said they have “no confidence” in the review and that they have been “excluded from the process”. The Government announced that the TV licence fee would increase to £150.50 from £147. The increase came into effect on April 1. Radio 4 presenters Sarah Montague and Martha Kearney announced a job-swap. Kearney would take Montague’s role as one of the main presenters on the Today programme and Montague became presenter of World At One. Nick Grimshaw said he is to stop hosting the BBC Radio 1 Breakfast Show and will be replaced by Greg James, in another job swap. He said he’s “really tired” and had the position for much longer than he first thought he would. Grimshaw’s show had recorded its second lowest audience figures since current records began. Matt LeBlanc revealed he would be leaving Top Gear after the next series, saying he will “forever be a fan”. The BBC later announced that Paddy McGuinness and Freddie Flintoff will host the motoring show from next year, with current Top Gear co-host Chris Harris. David Dimbleby announced he would be leaving Question Time after 25 years presenting the BBC show. The veteran presenter said he would be returning to his first love of reporting. His final broadcast of Question Time was on December 13. The BBC unveiled a new audio streaming app as part of the corporation’s plans to “reinvent” the broadcaster “for a new generation”. BBC Sounds is a collection of the broadcaster’s live and on-demand radio, as well as music and podcasts in one place. The BBC says the app is designed to be personalised, learning from user listening habits to offer up suggestions on new content. The BBC apologised for underpaying former China editor Carrie Gracie and reached an agreement over her back pay. Gracie had told MPs that the corporation treated women who spoke out about pay disparity as “the enemy”. BBC salaries were revealed – with Gary Lineker the BBC’s highest earner in a list still dominated by men. The Match Of The Day host takes home between £1.75 million and £1,759,999, eclipsing previous highest-earner Chris Evans. The top 12 published was made up entirely of men, with Lineker and Evans followed by Radio 2 DJ Graham Norton, on up to £609,999 – not including payments for his TV chat show. Sir Cliff Richard won his privacy case against the BBC over its coverage of a police raid on his home. The judge concluded coverage was a “very serious” privacy invasion and awarded the singer £210,000 damages. The BBC’s director general later said the victory had left the media in “legal limbo” over the conflict between freedom of speech and individual privacy. Chris Evans announced live on his Radio 2 Breakfast Show that he would be quitting the station and returning to Virgin Radio, his “spiritual home”. He later hosted his final show with an emotional broadcast, while wearing his Christmas pyjamas. Zoe Ball was later unveiled as Evans’ replacement, becoming the first female host of the breakfast slot. Lord Hall told MPS that free TV licence fees for over-75s are to be reviewed. Evan Davis was announced as the new presenter of Radio 4’s PM programme, taking over from recently-departed host Eddie Mair. Davis was the lead presenter of BBC Newsnight since 2014. Simon Mayo announced his departure from Radio 2, saying he wanted to concentrate on writing. His reconfigured Drivetime show, with Jo Whiley, after eight years hosting the show alone, was not a hit with listeners. Sara Cox was later announced as the new host of the show, calling it her “dream job”. Fiona Bruce was confirmed as the new presenter of Question Time – saying she is “thrilled and not a little daunted”. The news presenter and Antiques Roadshow host will take up her role on the BBC One show when the new series returns on January 10.